You know that strong intuitive feeling of clear knowing that you may get from time to time? If you’ve never felt it, that’s normal. However, there are people who have natural claircognitive abilities without even knowing it. What this means is they can think about something such as a question and receive answers internally within their mind. Maybe you have this strong feeling inside of you that someone is bad news before even meeting them, only to find out that you were right. Your gut instinct seems to always be right. In fact, it is so accurate it scares you! Additionally, friends value your advice and opinions and may come to you from time to time. Claircognizance – an intuitive ability of clear knowingness – comes to those who are constantly thinking, learning or gathering information. Being claircognizant is also considered to be a physic ability which we will touch on a little later in this guide. Those that hold this intuitive gift, often ignore it because they don’t think much of it except for luck or coincidences. Let us explain through this guide why claircognizance is a special ability to have and how to know if you have it. 4 Can You Develop Claircognizance? In simple terms, claircognizance is the abilityclaircognizance is the ability to know things without any proof, logic, or reason. Those with this ability have an “inner knowing” feeling that they can’t dismiss even if they tried. For example, you advise your friend not to go out with her blind date because you can already sense he’s no good, only to find out that she went on the date and had a terrible time. Because your gut feeling isn’t enough explanation to why you both shouldn’t buy it, your husband decides to get the car anyway, only to find a few months later it inexplicably doesn’t run anymore. This “gut feeling” that is always right is not luck or a coincidence. It is known as claircognizance and those with this intuitive ability know things to be true without any logic or reason. Think about a light bulb when you think about claircognizant information. If you are suddenly receiving illumination information within your head this is a claircognizant message. When this happens, you want to write this information down because like the turning off a lightbulb, they are gone in a flash. We have already touched base on “gut feelings”. This is one way that you can receive claircognizant claircognizant messages They are tough to explain feelings, but it’s the one that most people can grasp. Instead of dismissing your gut feelings, ask yourself if perhaps it’s a claircognizance message. Most claircognizant messages that people with this ability encourage seem to be “out of the blue.” They will simply pop into your head appearing as random thoughts like “the milk in the refrigerator has gone bad” or “check on the dog outside.” When you do, you will most likely find that the milk was indeed spoiled, and the dog outside had ventured into the neighbor’s yard. 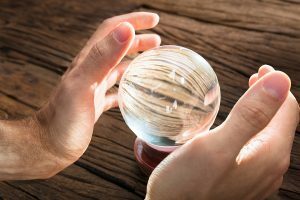 Claircognizant messages interrupt your thought pattern on a regular basis and can be related to something completely unconnected with what you are doing. They may seem random, but we guarantee there is some meaning behind them. Even in your sleep, your mind is constantly thinking; so much that it may wake you up out of a deep sleep! Claircognizant people can solve problems insightfully even if it means getting solutions during sleeping hours. With no concrete reasoning behind these solutions, they just know it’s the answer they’ve been looking for. Claircognizant messages happen randomly at any time of your day. You may be driving to work, showering, or laying down in bed when you receive claircognizant ideas and thoughts. This intuitive ability is known as claircognizance and it exists! You think a lot (more like overthink)! Your mind is unquiet and always working. Songwriters and authors are likely to be claircognizant without ever even knowing it. You’re kept up at night thinking about dozens of ideas that you can’t wait to share. These ideas pop into your mind suddenly throughout the day. It is often that you find yourself interrupting in conversation and you notice it too! You apologize for doing it, but you can’t help yourself. You almost always receive answers to thoughts or questions that ponder your mind. Even if its hours or days after you’ve thought about the subject, you eventually do get the answers you were looking for. You are good at reading people’s intentions. With often no explanation, you know when someone is sincere, trustworthy, and honest. Hand in hand, you know when someone can’t be trusted, again, often with no explanation. You receive messages randomly or “out of the blue” that turn out to be right! This can happen during your sleep or as you are showering in the morning. We briefly touched base on psychic claircognizance which is essential to developing this intuitive ability. Think about how cool it would be to receive these messages to guide you through life and help you make the right choices. These types of messages come from spirit guides or your “higher self”. Ask your spirit guides for help and guidance. You can do so by indulging yourself in meditation to connect with your guide. Ask them for guidance on developing your inner knowing and then listen for an answer. Develop this ability by trusting and believing in your abilities. You want to acknowledge that they exist by acting the next time you receive a message. 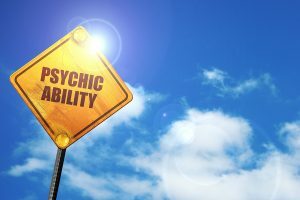 This is an important part of psychic development and will help you learn how to rely and trust your inner knowing. Write, write, write! Do you ever wonder why most authors and songwriters are claircognizant? This is because they write down the messages they receive unwillingly. They ask their higher self for guidance on writing the next best-selling novel or song and write down whatever comes to their mind. This is an easy practice that you can try yourself! Meditate and visualize every single day! Both are extremely important for claircognizance because it gets you in tune with your brain. It quiets down your mind giving you the opportunity to receive claircognizant messages. During your meditation, visualize yourself in tune with your claircognizance. 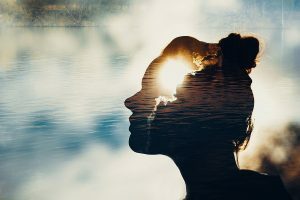 We hope this guide has given you a better understanding of claircognizance and how it can be used to benefit yourself and those around you. We hope you work on your ability to control these messages and provide inner knowledge to everyone that you love. This intuitive ability will only enrich your life and that of those around you!